Keppel Land’s premium integrated workspace solution under the KLOUD brand offer a full spectrum of versatile office spaces from single desks to entire floor plates, and from pay-per-use to long leases. Real estate cost is often cited as the single largest expense for many growing companies. With the rise of the gig economy and more corporates looking for interim office solutions, flexible forms of workspaces have clearly gained traction. Increasingly, discerning tenants are not only looking for flexibility in lease terms and space take-up, but are also thinking ahead on how well service providers can support their business growth in Singapore and abroad. 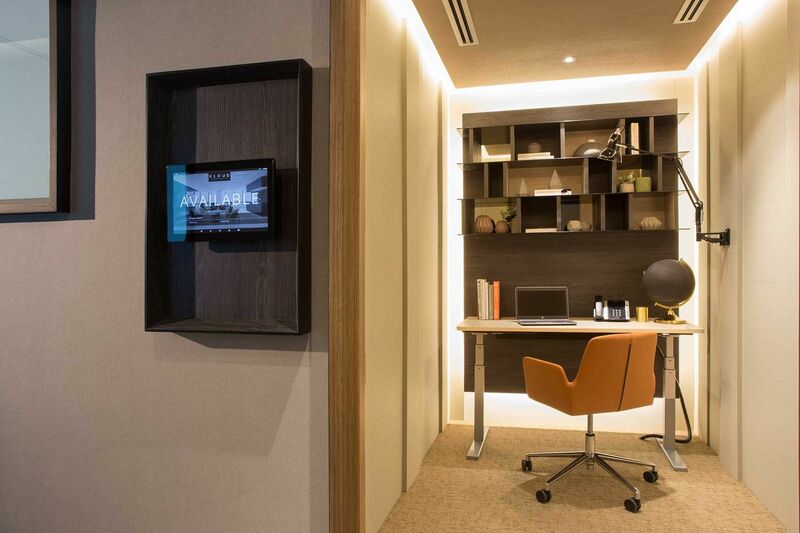 This is where Keppel Land’s premium integrated workspace solution under the KLOUD brand stands out. Breaking out of the conventional offerings in swanky Grade-A offices, Keppel Land has become the first property developer and office landlord to create its own brand of serviced co-offices. In other words, it is the first to offer a full spectrum of versatile office spaces from single desks to entire floor plates, and from pay-per-use to long leases. This also marks Singapore’s first serviced co-offices equipped with smart office features through a mobile application. 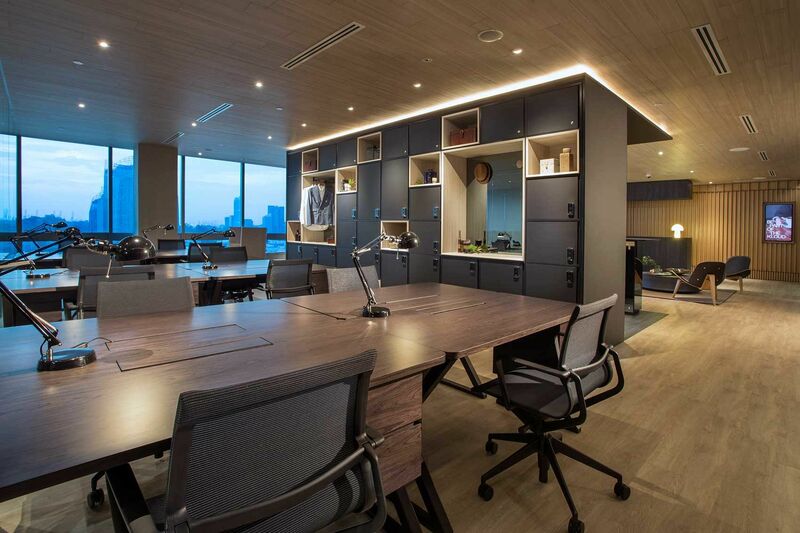 Notably, having KLOUD serviced co-offices in office buildings owned and managed by Keppel Land provide an added advantage for members should they outgrow their current workspace needs. They can easily take up more permanent or larger office spaces in Keppel Land’s office portfolio. Since the opening of the first KLOUD-serviced co-offices at Keppel Bay Tower in March this year, it has attracted innovative and dynamic firms from industries including FMCG, IT consultancy, education, investment and wholesale business. Located at the world-class waterfront precinct of Keppel Bay, KLOUD at Keppel Bay Tower spans 18,000 sq ft and features flexible shared office space ranging from exclusive office suites to hot desks, with the former taking up a larger 70 per cent of the gross space. Individuals and companies can choose to sign up for these hot desks or work suites on a short-term basis, instead of entering into binding long leases for a traditional office space. This offers tremendous flexibility for fast-growing companies that often have to adjust their real estate footprint swiftly according to business needs, or major corporations looking for interim real estate solutions. Following its success with KLOUD in Singapore, Keppel Land is set to open new KLOUD centres overseas in Ho Chi Minh City in Vietnam and Yangon in Myanmar in November and December respectively this year. The new KLOUD centre in Ho Chi Minh City is located at Keppel Land’s Saigon Centre Tower 2, a strategically located and vibrant mixed-use development with offices, serviced residences and a seven-storey retail mall where Takashimaya is the anchor tenant. As for KLOUD in Yangon, it will be located at Junction City Tower, a new 23-storey office tower that is part of a mixed-use development called Junction City. This project, a joint venture between Keppel Land and Myanmar’s Shwe Taung Group, comprises five-star Pan Pacific Hotel, a shopping centre and residential towers. 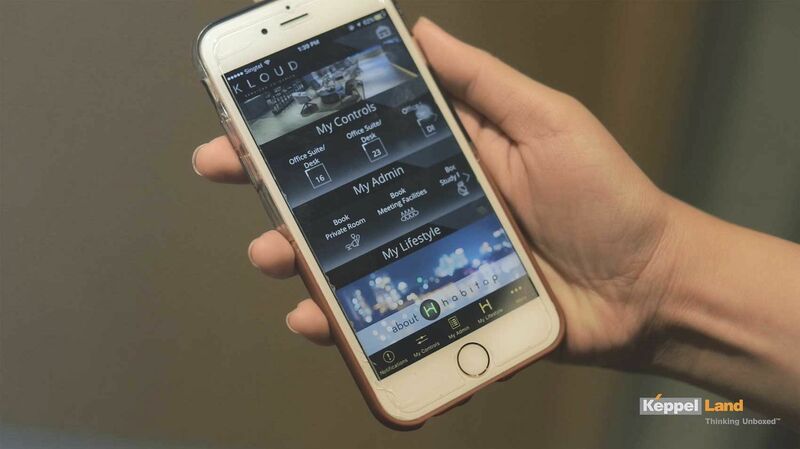 Plans are afoot to roll out KLOUD in other markets like China, Indonesia and the Philippines. Keppel Land is now in the process of identifying buildings within its office portfolio that are in prime locations to expand the footprint for KLOUD. As more KLOUD centres are opened in overseas markets, KLOUD members are able to tap on this growing eco-system to set up a presence in these markets quickly without the hassle of scouring for an office in an unfamiliar land. In this way, KLOUD offers its members a seamless expansion journey. The office properties where Keppel Land chooses to open a KLOUD centre are always in prime locations in city centres, linked to transport nodes and have convenient accessibility to retail amenities. With shared meeting and event facilities, KLOUD members can enjoy much savings in occupancy costs. Existing tenants in these buildings can also take up temporary workspaces at KLOUD for short-term projects or book the meeting and event facilities there when needed. “As both landlord and operator of KLOUD, Keppel Land is able to meet supplemental space requirements of existing building tenants and also incubate new growth businesses before they take up permanent and possibly, longer leases,” said Keppel Land’s General Manager of Marketing, Mr Albert Foo. Clearly, there is much room for KLOUD’s growth beyond Singapore’s shores. According to Cushman & Wakefield estimates, co-working stock in the Asia-Pacific stands at 10 million sq ft as at the first quarter of 2017, lagging behind Europe’s 20 million sq ft and the US's 40 million sq ft.
Keppel Land says that its KLOUD offering has sprung out of an earlier pilot project in co-working spaces. Workspace at Keppel Towers, spanning 6,500 sq ft, is 100 per cent occupied. This experience has enabled Keppel Land to incorporate enhanced offerings and services at KLOUD. Industry observers have noted that successful co-working spaces require a lot of programming — it is the ecosystem, the sharing sessions, and the networking sessions all thrown into the mix. Mr Foo notes that tenants at KLOUD can enjoy the best of both worlds. They can work with ease in the privacy of their work suites, but once they step out into the common spaces, they are plugged into a larger social community of varied individuals and companies. At KLOUD, there are hotdesks for individuals, suites for two to 10 persons and meeting facilities for four to 14 persons. Members can book private rooms for confidential work and calls, or retreat to a snooze room to recharge. Through a smart mobile app, members can open doors, book meeting rooms and even send out meeting invitations directly. For Mavericks Consulting to set up its office at KLOUD, it was love at first sight, says its consulting managing director George le. “We were looking for a place that matches our company culture and image. After exploring many serviced offices, we loved the location, surrounding amenities and office setup at KLOUD.